Jersey, the nine-by-five-mile island a hundred miles off the southern coast of England and 15 from the coast of northwest France, is well known as a tax haven. The UK crown dependency boasts nearly 3,000 millionaires out of a population of 90,000. But now it’s becoming famous for its chefs and cuisine. Your gastric juices automatically start getting loud and difficult to mask when the Channel island is mentioned. It’s probably the best place to eat in the British Isles. You think of its royal potatoes, ‘heritage’ tomatoes (and carrots), Royal Bay oysters, lobsters, spider and chancre crabs, hand-dived scallops, bi-valve mussels and its beef. And your palate swoons. But black butter may not come so quickly to mind. Although the ancient fare won’t diminish your saliva production. Although it may increase the waist. 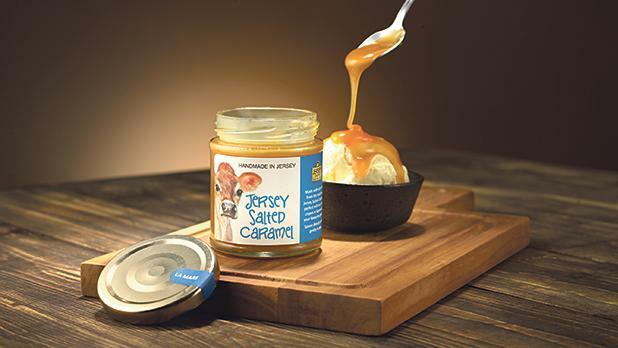 Jersey cider butter is an ancient hangover from the times when the Channel island was covered in apple orchards. And cider drinkers. St Lawrence’s La Faisie d’Cidre celebrates Jersey’s rich heritage of growing apples and making cider. The highlight is traditional cider making – using horsepower to pulverise apples, then building layers of pulp on a press to extract juice. There is a crush to see ye olde apple crushing skills being demonstrated. And every other person seems to be an apple expert. Or ardent black butter enthusiast. The traditional farmhouse delicacy – called Beurre Nier in Jerrais (the local Norman-French dialect) – is spread on bread and toast or can be paired with cold meats or curry. Cider has been made on Jersey since the 16th century. The 18th century saw its glory days. Cider supplemented wages. So as not to waste the apple harvest, Black Butter-making co-operatives were common and making the conserve was an excuse for a party (Un Séthée de Beurre Nièr, Un soir de beurre noir) or Black Butter Night. Every autumn the National Trust Jersey holds a three-day black butter festival at its headquarters at The Elms, St Mary, an 18th century farmhouse at the head of the island’s St Peter’s Valley. Everyone is free to peel apples and stir the brass cauldron (bachin) with a traditional paddle or rabot. In the old days the butter was made over two days over a giant fire. Brittany has a similar conserve called le beurre du pauvre. 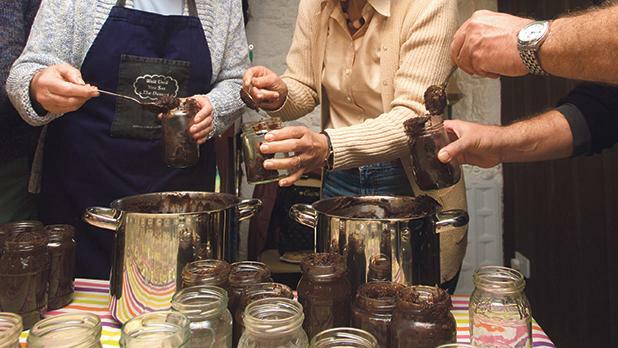 Based on medieval apple sauce, Jersey Black Butter has no artificial additives. Peeled and cored apples are traditionally cooked with black treacle, liquorice, cider, brown sugar and spices like cinnamon. It is available from La Mare Estate which also makes Jersey Black Butter Chocolates, Black Butter Fudge and Black Butter Biscuits. Until next Sunday, Jersey has a Tennerfest, where you can get some bargains (from £10-£17.50) at some of the best restaurants around the island. There are so many to choose from, like Longueville Manor with its Victorian garden, and The Atlantic Hotelon La Mont de la Pulente, St Brelade, next to La Moye Golf Club looking across St Ouen’s Bay. Its Ocean Restaurant has a £55 market menu and executive chef Will Holland’s showcase seven-course, £85 ‘Tasting Room’ menu features retired Jersey dairy cow tartare! As well as liquorice-confit lamb neck with sweetbread, gin and tonic granite and lychee mousse. Sumas at Gorey Hill has a local shellfish bisque, as well as stunning pan-fried brill, crab ravioli, fennel ceviche, gremolata and Dingley Dale pork belly with tamarind, seared squid, and, of course, apple. In St Helier, you have to go to the 5AA Rosettes Bohemia Bar and Restaurant, have an aperitif on its roof terrace before getting stuck into turbot. 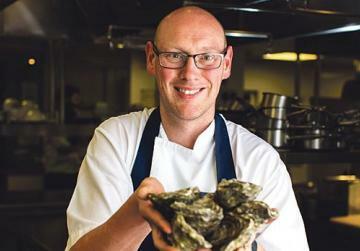 Its tasting menu (£79) includes oyster casserole. Also try Kismet Cabana at Quaisne Bay, St Brelade and Samphire on King Street in the main town of St Helier. You cannot go wrong. If you are lucky you might be cooked traditional dishes like bean crock (dried beans with pigs’ trotters), la soupe d’anguilles (conger eel soup) or fiottes (sugared flour and eggs). A word of warning: ‘Jersey Cabbage Loaf’ is very musical. Crash a local event, community or fete and you may be propositioned with some ‘Jersey Wonders’ (Des Mervelles). Traditionally, Jersey housewives cooked their Wonders as the tide went out. If they cooked them on an incoming tide, the fat in which the Wonders were cooked would invariably overflow the pan. The nearest equivalent is the doughnut, although Wonders are never coated in sugar or filled with jam. The more weight-conscious and less sweet-toothed just settle for a half pint of shrimps or prawns. The beachside La Braye Bistro at St Ouen Bat serves “seaside classics with a Mediterranean influence” as well as “ice cream with surprise sprinkles”. A select group of eco-led eateries have become conservation pioneers by incorporating ‘Climavore’ dishes into their menus. 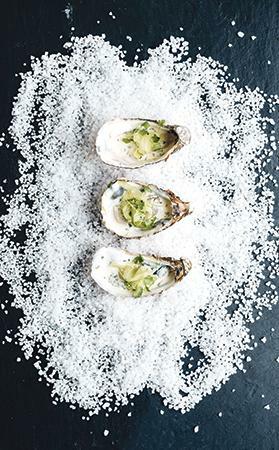 The Atlantic presents diners with the taste of the tidal zone (rather than ferry lane) with ‘Climavore’ amuse-bouches. Jersey’s coastal landscape is undergoing a series of dramatic and worrying transformations due to “human-induced climatic alterations”, increasing acidification, algal blooms and the consequent disappearance of species. Jersey’s chefs are re-connecting to “historic inhabitation practices”. Seaweed, kelp and bivalves, oysters and clams are crucial acts in seater purification and carbon dioxide absorption. La Mare Estate’s wines are the local wine of choice. Its dry red Bailiwick is made from Pinot Noir, Regent and Rondo grape varieties, medium dry Sainte-Marie is a blend of Orion and Seyval Blanc grapes. They also produce a candyfloss on the nose, off dry Perquage rose and Lillie (Langrty) sparkling rose. 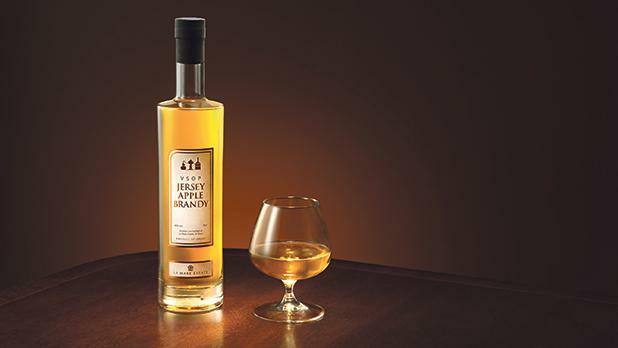 On such an apple-obssessed island, La Mare also makes VSOP Jersey Apple brandy and Jersey Apple Brandy cream liqueur. The best crab sandwiches are found at The Hungry Man in Rozel Bay. Less local meals like smashed avocado bruschetta are aplenty. Perhaps the most unusual snack to be had is biltong. It is Jersey’s latest export made by The Little Biltong Co. There are over 2,000 South Africans on the island. Le Hocq Inn at St Clement is the hub of consumption and very more-ish dried meat worship.